Although Dorothy was born in Tasmania, her parents lived at Inverell during WW1. After training at Sydney Hospital she tried to enlist as an Army nurse and was rejected due to an injured finger. Undaunted, Dorothy had the finger removed. In 1916 she was one of twenty non-military nurses chosen by Red Cross to work in French hospitals. These nurses were known as "Bluebirds" because of their blue uniform. The NSW Jockey Club paid the maintenance for these nurses for their first six months of service. Dorothy worked at hospitals at Amiens, Rodez and Beziers. She was among the few nurses chosen to give anaesthesia. She wrote home of the dreadful conditions in France and the gratitude of her patients for Australian Red Cross parcels. After returning to Australia in 1919 Dorothy married Army Officer Major Allan Barton DSO. 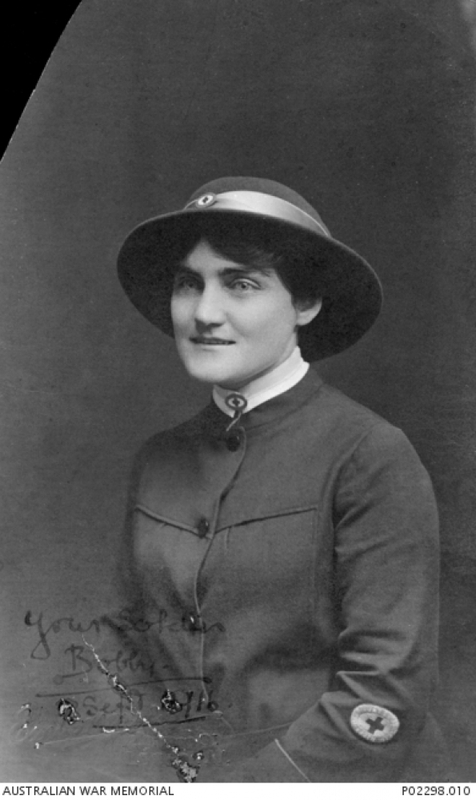 Dorothy was one of only two Australian nurses awarded the French Medal of Recognition, given to civilians as a token of appreciation by the French Government. After the War Dorothy married Major Barton in Sydney. She died in Sydney in 1973. During the War her parents supported various War effort events at Inverell.